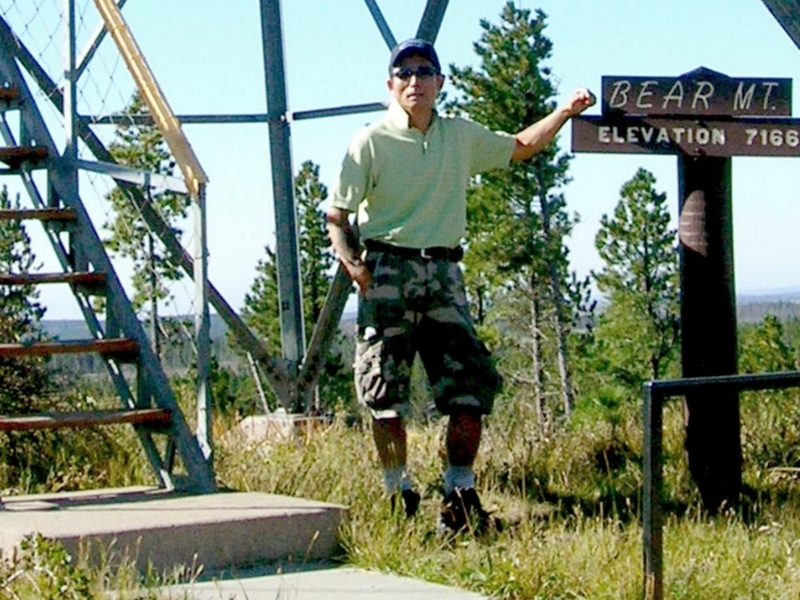 Bear Mountain is a good intermediate-range hike in the central hills that is often overlooked. 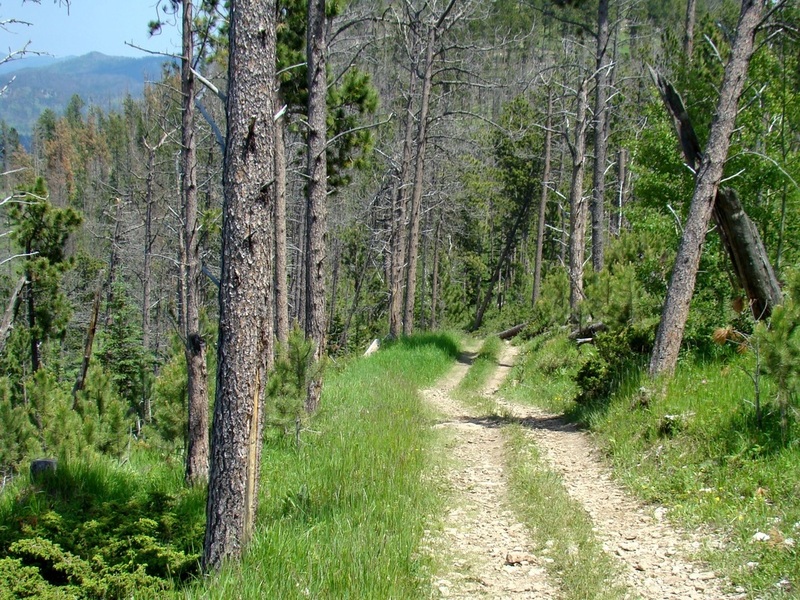 Ranked third-highest among Black Hills summits, the mountain offers what normally proves to be a quiet and tranquil hike up an old forest service road. 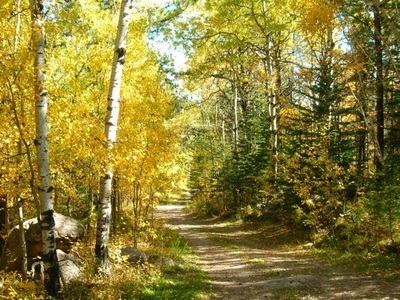 The lower portion of the route to the summit passes through aspen groves as it parallels the course of an un-named stream just to the north of the road. Wildflowers grow in abundance along the trail. This stream is a magnet for deer, wild turkeys, elk, foxes, marmots and other wildlife. Rarely does anyone ever see a mountain lion on Bear Mountain. 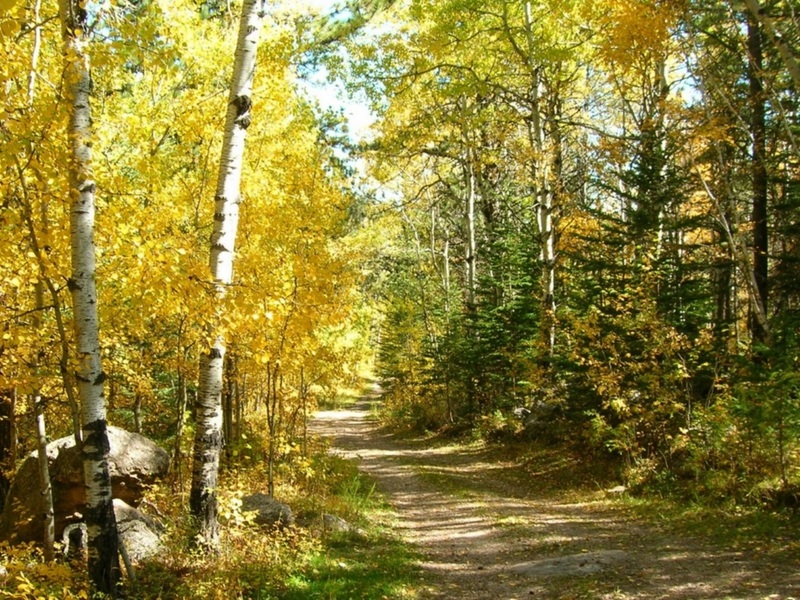 Of course, all this makes for beautiful fall hiking. 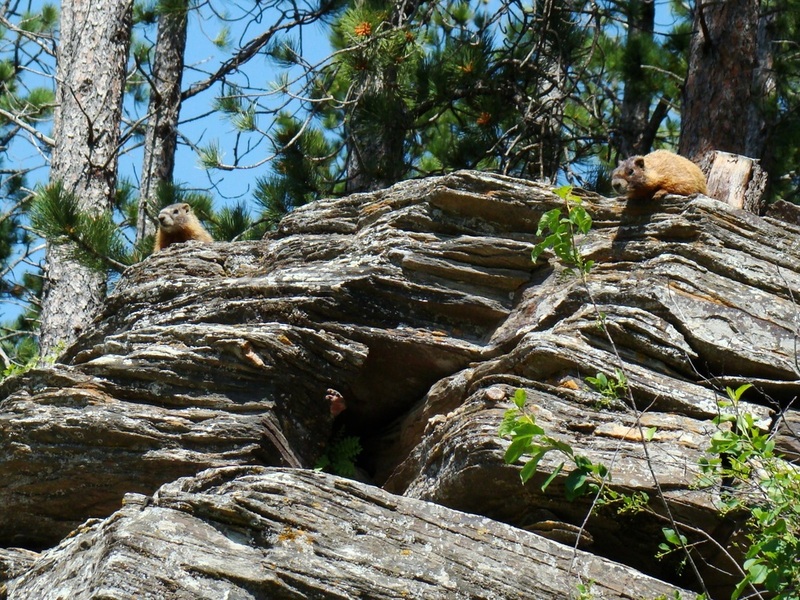 Just 12 miles northwest of Custer, Bear Mountain is considered to be the center of the Black Hills. 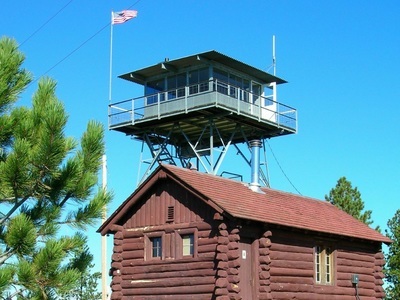 One of the few remaining active fire towers in the Black Hills is located at the summit. Fire lookout towers have been in operation at the summit for over 90 years. There is a picnic table and vault toilet that is open to the public at the summit. 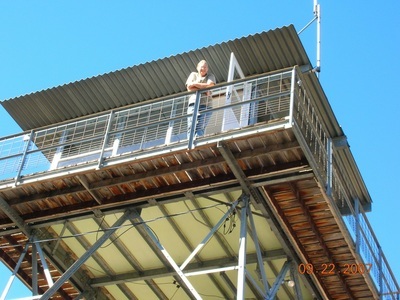 Occasionally, you can see rangers at work in the fire tower. 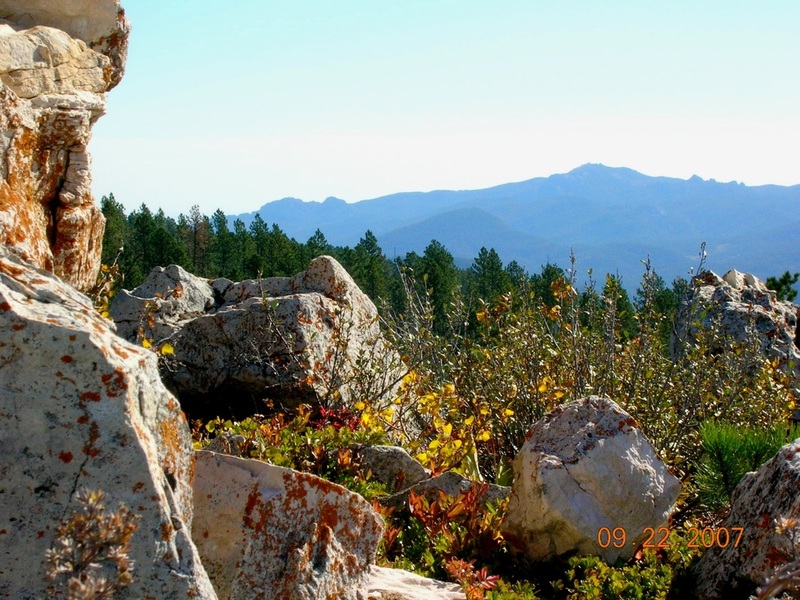 Even though Bear Mountain is just a few feet lower in altitude than Odakota Mountain, a few miles north, the views are much more expansive. 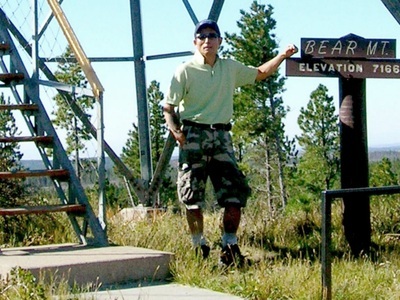 Visitors to the summit are treated to views of Black Elk Peak, Mount Coolidge, Sylvan Peak, Odakota Mountain, Little Devils Tower, Buckhorn Mountain, Cathedral Spires and others. To get to the Bear Mountain trailhead, travel 7.3 miles northwest on Road 297, also called Medicine Mountain Road, from Highway 385 north of Custer. This turnoff is 3.3 miles north of Custer and about 11 miles south of Hill City. 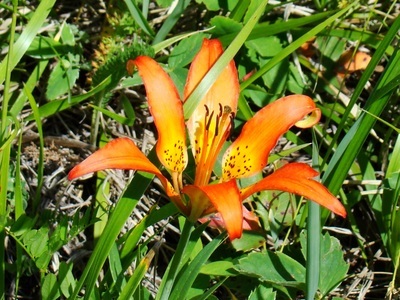 At Bobcat Road (County Road 299), go left about 1 mile to an old road on the west side of the roadway. There is an inconspicuous small marker there simply labeled “299.1C”. This is your trailhead. Just follow the main road up, which will morph into Road 299.1K farther up the mountain. Ignore the side roads. 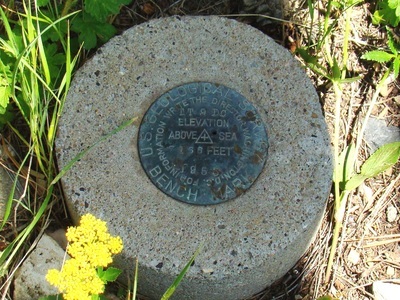 It is about 2.5 miles to the summit, with close to 1,000 feet of altitude gain. You will have to go through a gate near the summit. Beyond the gate, you will see the fire tower at the summit. The brass geodetic summit marker is below the tower.